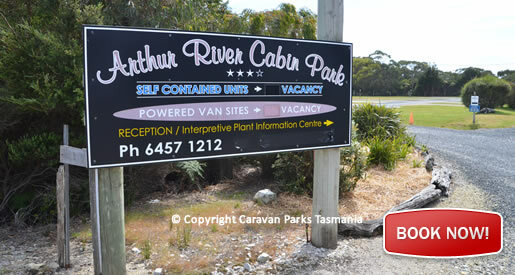 The Arthur River Cabin Park offers the visitor to the Far North-West Coast of Tasmania with accommodation at Arthur River, north-west Tasmania. Arthur River is 14 kms south of Marrawah on Tasmania’s far north-west coast. The Park also offers budget cabins that sleep 4 persons, studio units for couples and twin-share backpacker units. A range of powered and unpowered sites is available for campervans, caravans and tents and there is a modern amenities block with hot showers, toilet facilities and a guest laundry. 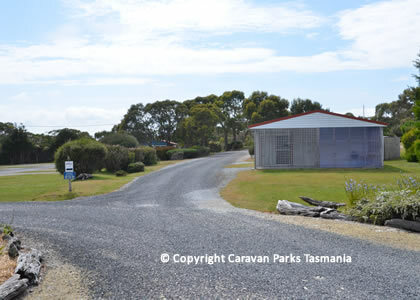 This park is popular with visitors on a 4WD Holiday Tasmania. The Arthur River Cabin Park features fully self-contained modern, insulated cabins with carports, or you can choose basic fully self-contained units. Camping and campervan facilities are available, with a serviced amenities block with hot showers and laundry. Powered sites are located central to many local scenic attractions. The cabin park at Arthur River is a great base to explore the wilderness of Tasmania's rugged west coast and the Tarkine. In Tasmania’s remote north west you can walk endless beaches, cruise the Arthur River, see ancient blackwood forest at Dismal Swamp, go four wheel driving and encounter abundant native wildlife including wombats, wallabies and Tasmanian devils.